The Story of "Must Goes"
She would always find a way to make a delicious dinner that can be almost classified now as gourmet, imagine that! 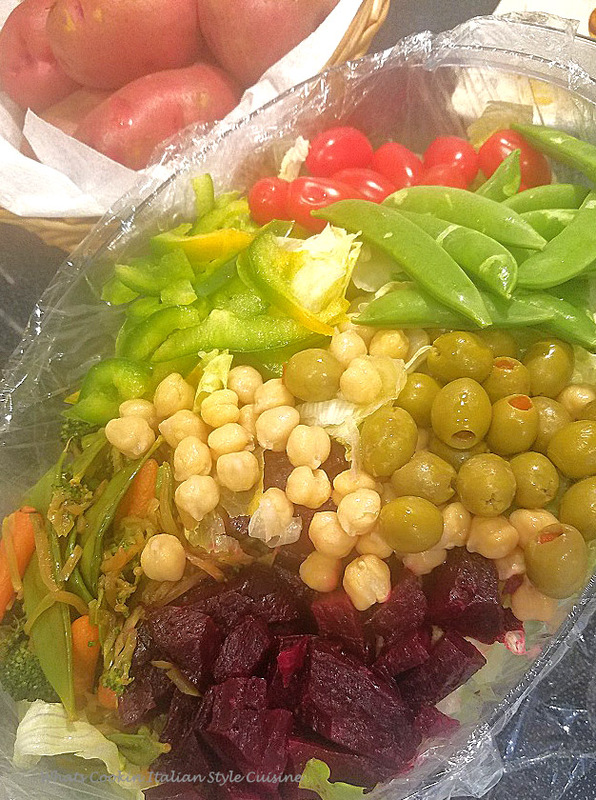 Amazing what you can find in your refrigerator....and so healthy for you... for the love of food we made a salad! Growing up in Utica, New York on Lansing St. When mom put on an Italian meal, salad was a must on our tables. Everything went in it that was a leftover from the whole week. Nothing went to waste in our home. Mom was very thrifty. I never really appreciated this hearts of Romaine salad with her famous Italian homemade dressing as a side dish. As a child and very rarely ate salads. I so miss that delicious dressing that really was unique in flavors compared to anything I ever had. It took me years after mom passed to get close to the taste. Even watching her the olive oil and the combination of fresh herbs and spices were what made it so special. It was a totally different taste in Upstate Utica New York in the summer, compared to winter. We had all fresh garden vegetables and herbs growing all summer long. Where we lived Dad's whole yard was flowers and a garden. We had potatoes, beets, lettuce, carrots, radishes, pear trees, basil, oregano, mint, boysenberries these are just to name a few. The list goes on and on of what he grew, Dad had a green thumb. Boy do I miss them both. Dad passed in 1995 and Mom passed on in 1999. Good old fashioned Italian cooking. The best food on earth in my opinion. 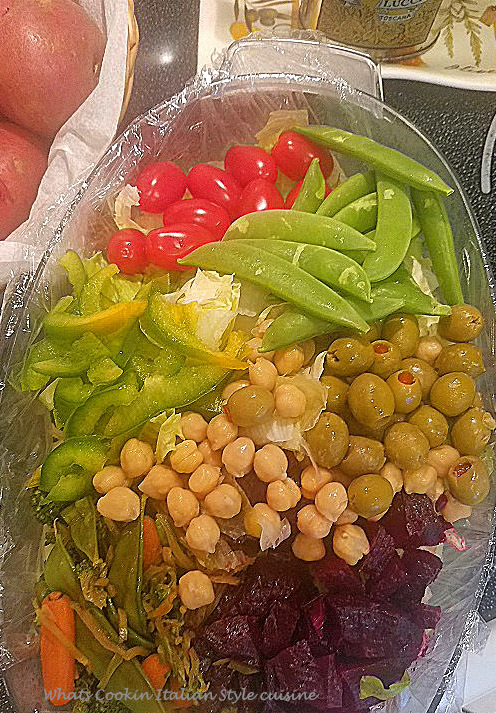 You can add leftover tuna, roast beef, chicken, turkey, salami, pepperoni, whatever you have goes into this salad, use your imagination. So as the story really should say "anything goes" with " must goes"
So glad someone can relate to that,with the smiles there are still tears of missing her.. but wonderful memories...thanks for sharing your story too. I tend to throw together leftovers for my lunch the next day...sometimes it's such a random mish-mash, but hey, it works!